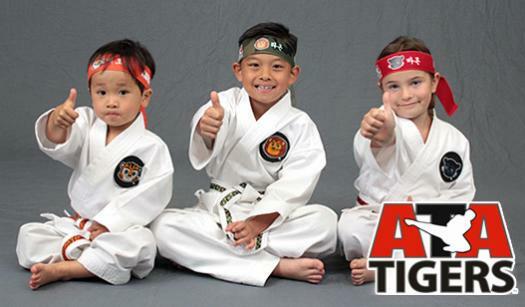 The ATA Tigers class is for ages 3-6. It is a high energy class designed to capture the student's attention through teaching Taekwondo. We specifically strive to develop better coordination, self-control, confidence, and fitness. Our Karate for Kids program is a phenomenal class to develop higher self-esteem within students. It also gives students a constructive way to focus their energy. Students will learn basic self-defense in this program, but the biggest benefit comes as they develop a great set of life-skills such as Respect, Discipline, Confidence, and Self-Control! While these life-skills are a natural part of learning Taekwondo, the instructors at Legacy Martial Arts are specifically trained to bring these life-skills out faster, and in a longer lasting fashion, so that they'll remain with students throughout their entire lives! Our Karate for Kids program is also geared towards developing better fitness within our students. Our program is also great in developing better physical fitness. 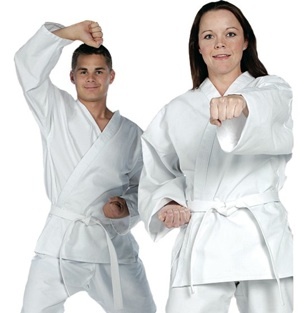 Taekwondo utilizes the entire body, so that every muscle is involved throughout each class. Even Adults can benefit from the life-skills that are taught in our programs. One major benefit is the increased confidence that being in the Legacy Martial Arts program will bring. Get Started Now! Fill out the following form with the student's information. You will be sent to a page where you can take advantage of our current special: 6 weeks for $69 (includes uniform)!